Inspired by the bride’s dress, Nicole Delaine began planning a geometric themed wedding inspiration shoot. 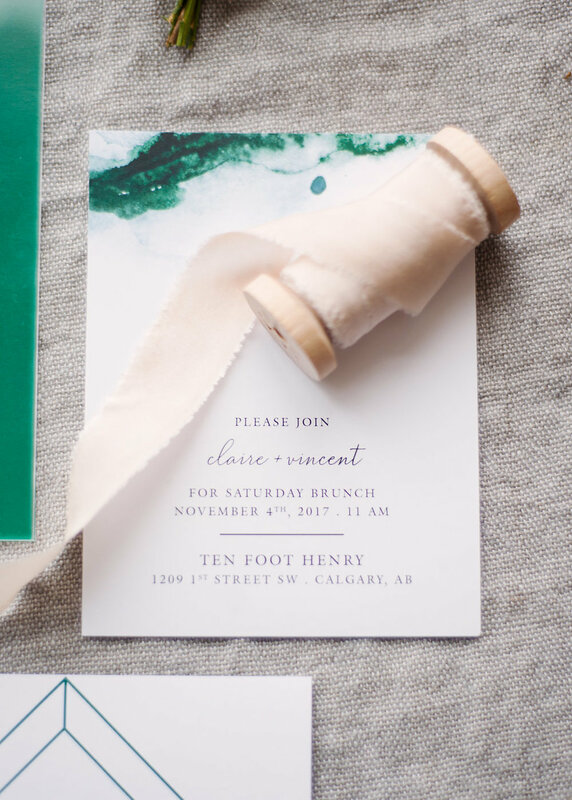 As the incredible team of talented vendors grew, the shoot grew into much more than a simple geometric shoot. 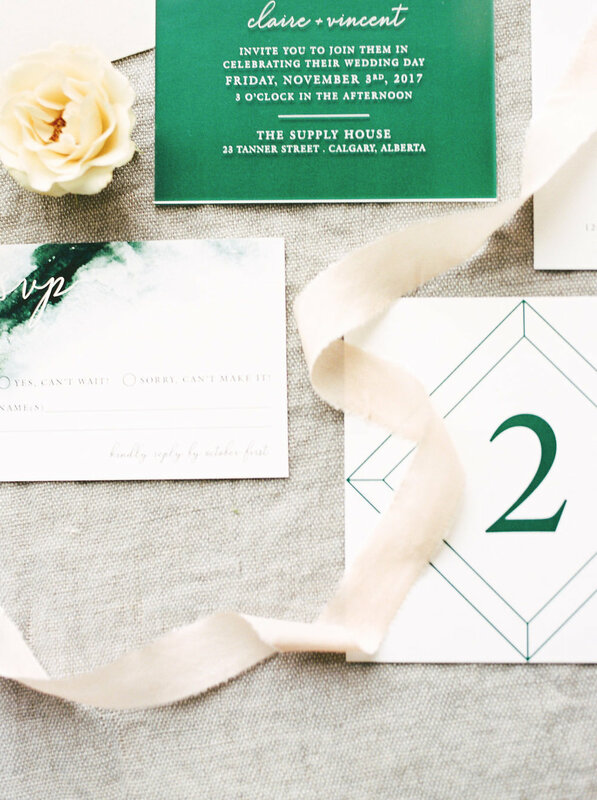 Aiming to stay classic with a touch of modern, Nicole decided on emerald green for the shoot. 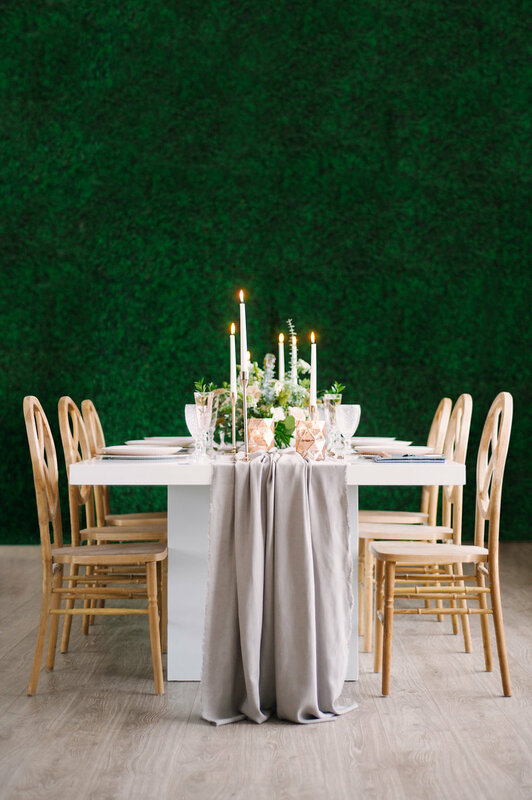 Jess from Kismet & Clover styled the tablescape with decor from Modern Luxe Rentals. Rose gold elements were used to match the copper arch. 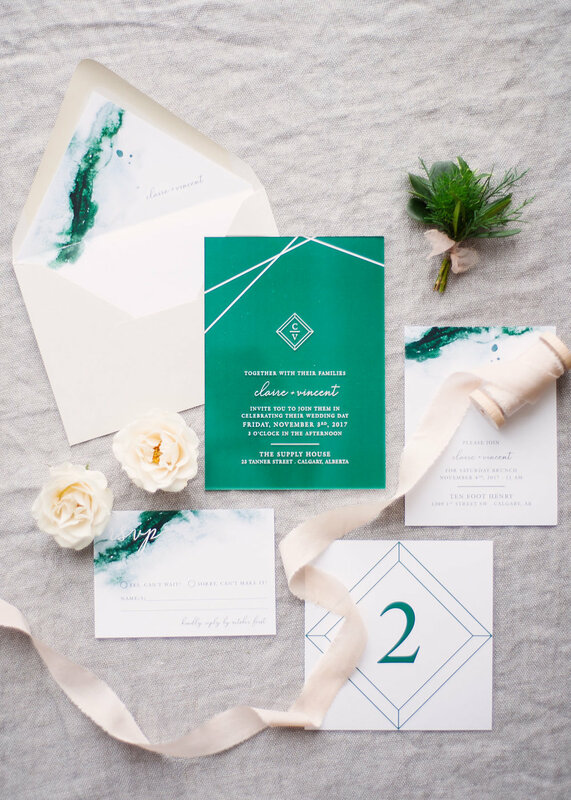 Allie from Modern Pulp Design provided stationary that kept the emerald green theme flowing and added in those original geometric patterns. We were given the freedom to design to our hearts content on the copper arch and decided on an asymmetrical design. 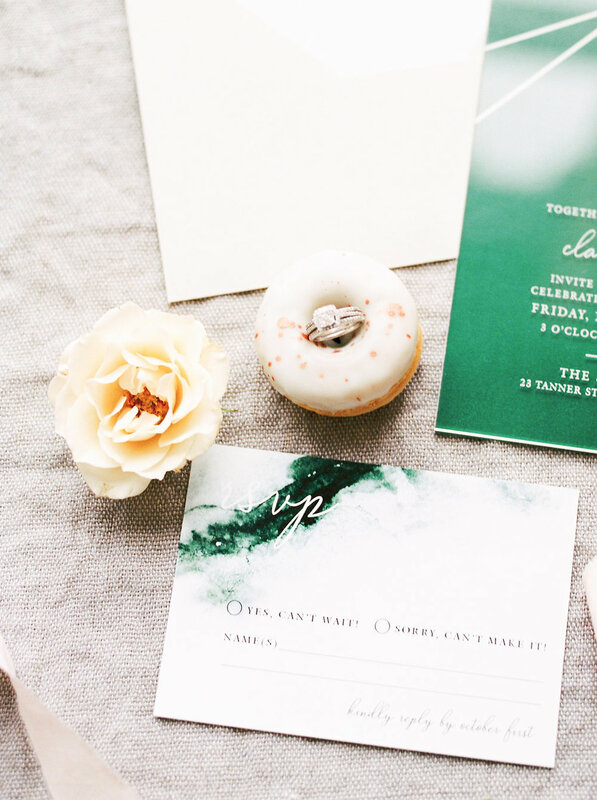 Pretty Sweet Co. hopped on board with an incredible emerald green assortment of donuts, which Jess from Kismet and Clover had the brilliant idea of turning into a donut tower. Delicious!